Spring has sprung in these parts and my boys are ready for outdoor activities. 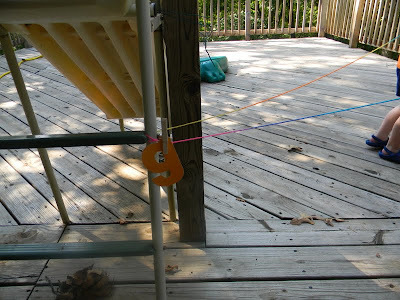 No longer do they want to stay indoors and play with playdough, do puzzles, and color. They've packed all of the paper and easels away, and they are itching to get outdoors and play! I am also ready for my two bundles of energy to be outdoors playing. 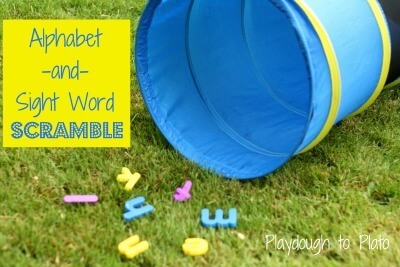 However, I'd also like to continue to add a little literacy learning to their play. 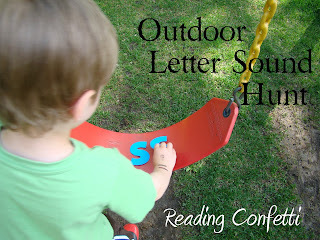 I've been anticipating Spring and Summer so much, that I started collecting outdoor activities from other kid bloggers a while back. 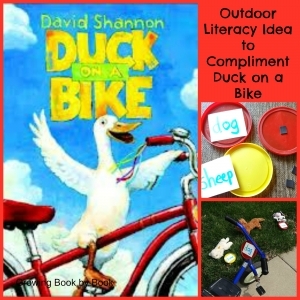 Today I'd love to share some outdoor activities that promote early literacy. Here's a round up of outdoor activities that will promote early literacy skills. 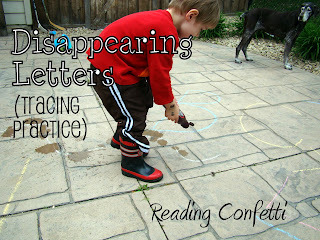 Have you taken your literacy learning activities into the great outdoors? I'd love to hear about your ideas for learning outdoors! 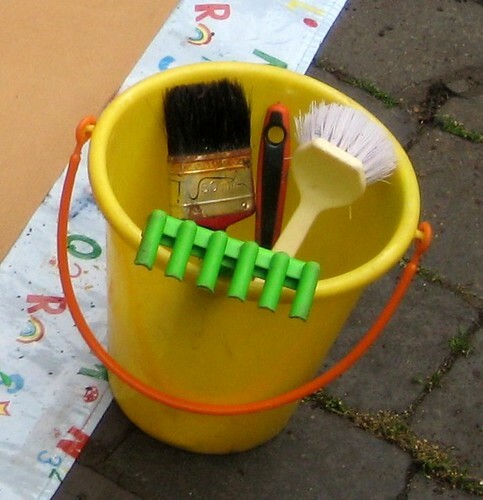 I'm sharing this to the Outdoor Play Party. Come link up your outdoor ideas! This is a great list, Jackie! Thanks for including our activities. Pinning! This is a wonderful round-up! Heading off to pin them all! Thanks for sharing. Thanks for sharing your activities, Lorie. We are trying out your scavenger hunt this weekend. 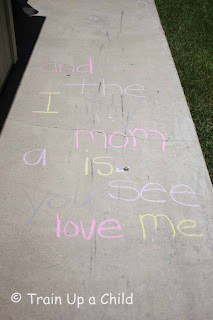 I'm sure my husband will love finding random letters all over the yard while he does yard work, but, hey, it keeps the kids out of his way, right? 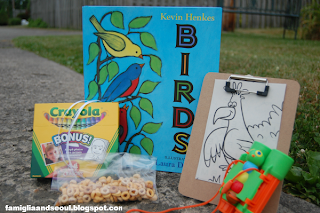 Thank you for sharing my post and for hosting the outdoor play party! 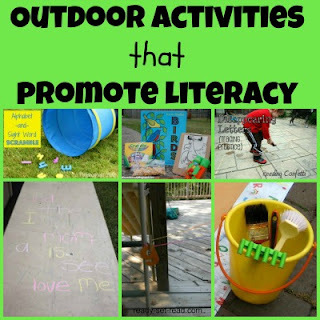 Love the outdoor literacy bag. Bird watching is a favorite of mine. Can't wait to come up with my own version. Thanks for sharing!